For the football player, see Art Carney (American football). Arthur William Matthew "Art" Carney (November 4, 1918 – November 9, 2003) was an American actor in film, stage, television and radio. He is best known for playing sewer worker Ed Norton, opposite Jackie Gleason's Ralph Kramden in the sitcom The Honeymooners, and for winning the Academy Award for Best Actor for his role in Harry and Tonto. Carney, youngest of six sons (Jack, Ned, Robert, Fred, Phil, and Art) was born in Mount Vernon, New York, the son of Helen (née Farrell) and Edward Michael Carney, who was a newspaper man and publicist. His family was Irish American and Roman Catholic. He attended A. B. Davis High School. Carney was drafted into the United States Army as an infantryman and machine gun crewman during World War II. During the Battle of Normandy serving in the 28th Infantry Division, he was wounded in the leg by shrapnel and walked with a limp for the rest of his life. As a result of the injury, his right leg was 3/4-inch shorter than his left. Carney was a comic singer with the Horace Heidt orchestra, which was heard often on radio during the 1930s, notably on the hugely successful Pot o' Gold, the first big-money giveaway show in 1939–41. Carney's film career began with an uncredited role in Pot o' Gold (1941), the radio program's spin-off feature film, playing a member of Heidt's band. Carney, a gifted mimic, worked steadily in radio during the 1940s, playing character roles and impersonating celebrities. In 1941 he was the house comic on the big band remote series, Matinee at Meadowbrook. One of his radio roles during the 1940s was the first Red Lantern on Land of the Lost. In 1943 he played Billy Oldham on Joe and Ethel Turp, based on Damon Runyon stories. He appeared on The Henry Morgan Show in 1946–47. He impersonated FDR on The March of Time and Dwight D. Eisenhower on Living 1948. In 1950–51 he played Montague's father on The Magnificent Montague. He was a supporting player on Casey, Crime Photographer and Gang Busters. Carney as The Archer on Batman, with co-star Barbara Nichols. On both the radio and television versions of The Morey Amsterdam Show (1948–50), Carney's character Charlie the doorman became known for his catchphrase, "Ya know what I mean?" In 1950, Jackie Gleason was starring in a New York–based comedy-variety series, Cavalcade of Stars, and played many different characters. Gleason's regular characters included Charlie Bratten, a lunchroom loudmouth who insisted on spoiling a neighboring patron's meal. Carney, established in New York as a reliable actor, played Bratten's mild-mannered victim, Clem Finch. Gleason and Carney developed a good working chemistry, and Gleason recruited Carney to appear in other sketches, including the domestic-comedy skits featuring The Honeymooners. Carney gained lifelong fame for his portrayal of sewer worker Ed Norton, opposite Jackie Gleason's Ralph Kramden. The success of these skits resulted in the famous filmed situation comedy The Honeymooners, and the Honeymooners revivals that followed. He was nominated for seven Emmy Awards and won six. On August 13, 1970, Elvis Presley recalled meeting Carney in early 1956 when Presley was appearing on Jackie Gleason's Stage Show (TV series) during one of Presley's concert appearances at the International Hotel in Las Vegas, Nevada. Presley introduced Carney in the audience during his dinner show on August 13, 1970. Between his stints with Gleason, Carney worked steadily as a character actor and occasionally in musical-variety. He guest starred on NBC's Henry Morgan's Great Talent Hunt (1951), The Martha Raye Show (1955–56), The Dinah Shore Chevy Show, and many others, including as a mystery guest on What's My Line? which he attended dressed as Ed Norton. Carney also had his own NBC television variety show from 1959 to 1960. In the season two opening episodes 35 and 36 of the Batman television series, titled "Shoot a Crooked Arrow" (1966), Carney gave a memorable performance as the newly introduced villain "The Archer". In 1958, he starred in an ABC children's television special Art Carney Meets Peter and the Wolf, which also featured the Bil Baird Marionettes. It combined an original storyline with a marionette presentation of Serge Prokofiev's Peter and the Wolf. Some of Prokofiev's other music was given lyrics written by Ogden Nash. The special was a success and was repeated twice. Carney starred in a classic Christmas episode of The Twilight Zone "The Night of the Meek", playing a dramatic turn as an alcoholic department store Santa Claus who later becomes the real thing. In 1964, he guest-starred in the episode "Smelling Like a Rose" along with Hal March and Tina Louise in the CBS drama Mr. Broadway, starring Craig Stevens. In the early 1970s, Carney sang and danced on several episodes of The Dean Martin Show, and also took part in the Dean Martin Celebrity Roast of his old co-star Jackie Gleason. He starred as Police Chief Paul Lanigan in a 1976 television movie, Lanigan's Rabbi, and in the short-lived series of the same name that aired in 1977, as part of the NBC Sunday Mystery Movie lineup. In 1978, Carney appeared in Star Wars Holiday Special, a made-for-TV movie that was linked to the Star Wars film series. In it, he played Trader Saun Dann, a member of the Rebel Alliance who helped Chewbacca and his family evade an Imperial blockade. The same year, he appeared as the father of Ringo Starr's alter ego "Ognir Rrats" in the made for television special "Ringo". In 1980, he starred in the TV film Alcatraz: The Whole Shocking Story. In 1984, he portrayed Santa Claus in the made-for-TV holiday film The Night They Saved Christmas. Among his final television roles were a series of commercials for Diet Coke in which he played a man enjoying a day out with his grandson. Carney recorded prolifically in the 1950s for Columbia Records. Two of his hits were "The Song of the Sewer", sung in character as Norton, and "'Twas the Night Before Christmas", a spoken-word record in which Carney, accompanied only by a jazz drummer, recited the famous Yuletide poem in syncopation. Some of Carney's recordings were comedy-novelty songs, but most were silly songs intended especially for children. He also narrated a version of The Wizard of Oz for Golden Records, with Mitch Miller and his chorus performing four of the songs from the classic 1939 film version. Carney won the Academy Award for Best Actor for his 1974 performance as Harry Coombes, an elderly man going on the road with his pet cat, in Harry and Tonto. He beat out Albert Finney, Dustin Hoffman, Jack Nicholson, and Al Pacino for the Oscar that year. It was presented to him at the 47th Academy Awards on April 8, 1975 by actress Glenda Jackson, with whom Carney would co-star in the comedy House Calls in 1978. Carney also won a Golden Globe award for his Harry and Tonto performance. In demand in Hollywood after that, Carney then appeared in such films as W.W. and the Dixie Dancekings (as a deranged preacher), The Late Show (as an aging detective), House Calls (as a senile chief surgeon), Movie Movie (in multiple roles) and Going in Style (as a bored senior citizen who joins in bank robberies). Later movies included The Muppets Take Manhattan, the crime drama The Naked Face and the sci-fi thriller Firestarter. In 1981, he portrayed Harry Truman, an 83-year-old lodge owner in the semi-fictional account of events leading to the eruption of Mount St. Helens, in the movie titled St. Helens. Although he retired in the late 1980s, he returned in 1993 in a minor supporting role in the Arnold Schwarzenegger film, Last Action Hero. Carney with Beverly Lunsford in a scene from The Rope Dancers. Carney made his Broadway debut in 1957 as the lead in The Rope Dancers with Siobhan McKenna, a drama by Morton Wishengrad. His subsequent Broadway appearances included his portrayal in 1965–67 of Felix Unger in The Odd Couple (opposite Walter Matthau and then Jack Klugman as Oscar). In 1969 he was nominated for a Tony Award for his performance in Brian Friel's Lovers. 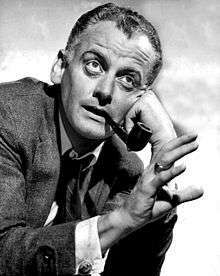 In 1961-62, Art Carney played Frank Michaelson in an English comedy by Phoebe & Henry Ephron entitled Take Her, She's Mine with Phyllis Thaxter as his co-star in the Biltmore Theatre in New York; the character was played by James Stewart in the 1963 film version. Carney was married three times to two women: Jean Myers, from 1940 to 1965, and again from 1980 until his death in 2003, and to Barbara Isaac from December 21, 1966 until 1977. He had three children with his first wife, Eileen (born 1942), Brian (born 1946), and Paul (born 1952). Brian Carney appears as a GEICO executive alongside the animated gecko in GEICO commercials. His grandson, State Representative Devin Carney, represents Lyme, Old Lyme, Old Saybrook, and Westbrook in the Connecticut General Assembly. His great-nephew is musician/actor Reeve Carney. Carney died of natural causes in his sleep on November 9, 2003, 5 days after his 85th birthday, near his home in Westbrook, Connecticut. He is interred at Riverside Cemetery in Old Saybrook, Connecticut. Jean Carney died nine years later on October 31, 2012 at the age of 93. According to Carney, he was an alcoholic by his late teens. His first stage partner, comedian Ollie O'Toole, "would order gin and grapefruit juice for us in the morning and, gee, it was great." Carney would later use barbiturates and amphetamines as well as alcohol substitutes, and also tried psychotherapy and Alcoholics Anonymous to battle his addiction, which he said ran in the family. He finally found success with Antabuse, and quit drinking during the filming of Harry and Tonto. 1967 A Guide for the Married Man Married man "Joe X"
Art Carney has a star on the Hollywood Walk of Fame at 6627 Hollywood Boulevard. In 1954 the Board of Directors of the Florida Water and Sewage Works Operators Association (Now the Florida Water and Pollution Control Operators Association) unanimously passed a resolution that Art Carney of The Jackie Gleason Show and The Honeymooners fame be granted an Honorary Life Membership in the Association in recognition for his constant humorous reminders to the American public that sewage systems do exist. Mr. Carney gratefully accepted this honorarium, as reflected in his letter to the association. While starring in The Odd Couple on Broadway, Carney's caricature was drawn for walls of Sardi's Restaurant. In 1994, the music group The Swirling Eddies named a song after Carney on their album Zoom Daddy entitled "Art Carney's Dream." In 2004, a year after his death, Carney was posthumously inducted into the Television Hall of Fame. ↑ "'Honeymooners' actor Art Carney dies." China Daily.com. 12 November 2003. ↑ Yahoo Movies Biography Archived May 22, 2011, at the Wayback Machine. 1 2 "Art Carney Wins in a Film—and Over Alcoholism." ↑ "The Art Carney Show". IMDB. Retrieved 16 March 2012. ↑ The Museum of Broadcast Communications (MBC). ↑ Imdb.com Saundan character biography.